It was an island at this time. 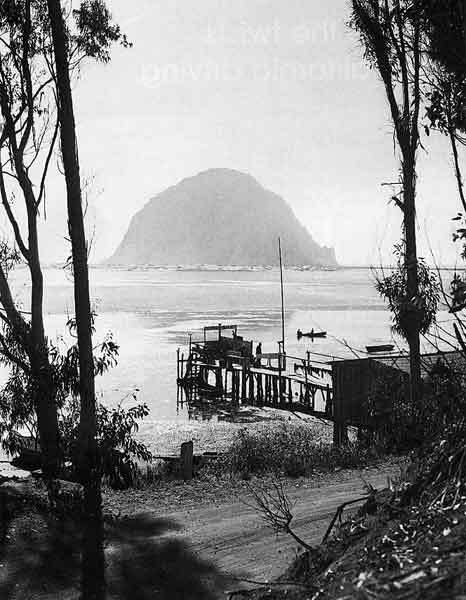 Perhaps some of you remember climbing Morro Rock. 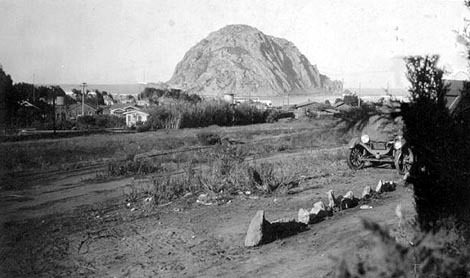 The trail and steps to the top was a WPA project in 1930. Part of the trail was lost when it was quarried for the breakwater. Now only a very select few government (of course) employees have access.